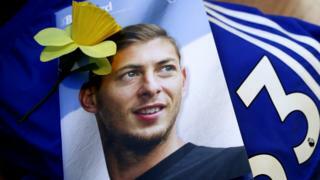 The body of footballer Emiliano Sala has arrived back in his home country of Argentina ahead of his funeral on Saturday. It arrived in Buenos Aires on Friday afternoon and will be driven 334 miles (538km) to his hometown of Progreso in the Santa Fe province. 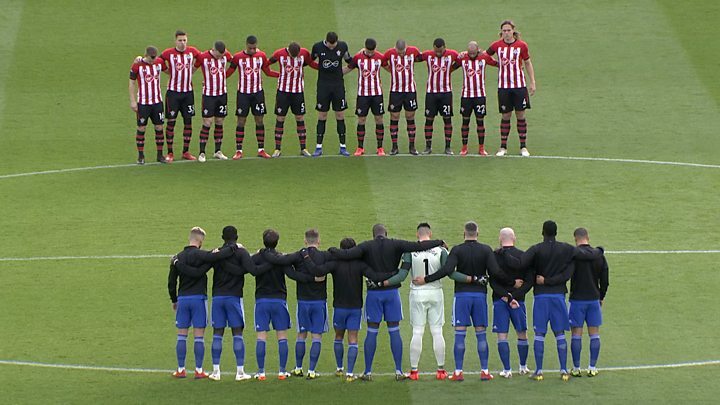 Sala, 28, died after the plane he was flying in crashed over the English Channel on 21 January. His body was discovered in the wreckage two weeks later. A vigil is planned at the gymnasium next to Sala's youth club, San Martin de Progreso, on Friday evening. The funeral will start at 10:00 GMT (07:00 local time) behind closed doors at the club. Sala's body will then be taken 44 miles (71km) to Santa Fe, where it will be cremated at about 15:30. Cardiff City manager Neil Warnock and chief executive Ken Choo will be among those attending the ceremony. The mayor of Progreso confirmed Sala's family had arrived in the town on Wednesday ahead of the funeral. Sala signed for Cardiff City from Nantes in a record £15m transfer. He had returned to the French city to say goodbye to his former teammates when the single-engine Piper Malibu plane he and pilot David Ibbotson were travelling in went missing from the radar. The official search was called off three days after the plane went missing, but a privately-funded search located the plane on 3 February. A body was recovered from the wreckage and taken to Dorset three days later, where it was identified as Sala's. Sala died of "head and trunk injuries," an inquest heard on Monday. Mr Ibbotson's body is still missing and an online fundraiser by his family to search for him has reached £242,000.